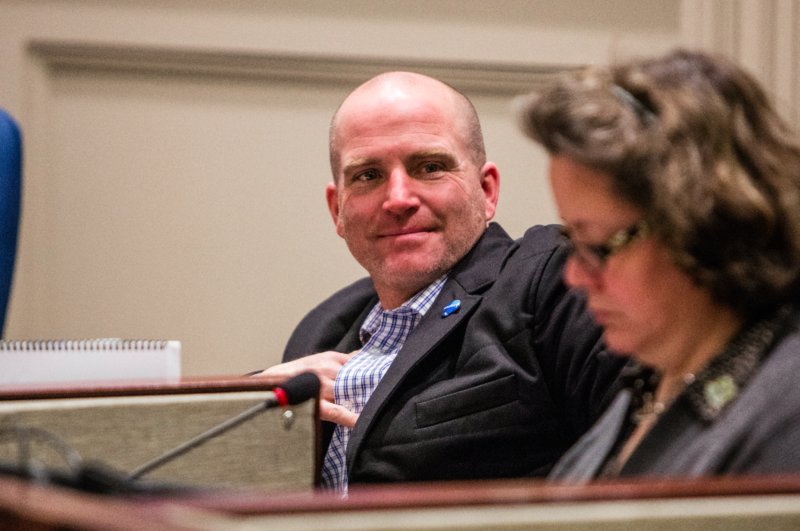 Matt Whitman walked away from an in-camera discussion on public complaints held Tuesday, refusing to take part in a debate on councillor conduct largely centred on his own words and actions. It didn't go his way. After a two-and-a-half hour discussion behind closed doors, council voted 12-3 that Whitman was guilty of breaching the municipal code of conduct and of releasing confidential information to the public. Whitman was censured and ordered removed from all HRM boards, agencies and committees for the next three months, save Committee of the Whole and budget committee. It was one of three separate in-camera items on public complaints held during Tuesday's council meeting. Whitman began the day motioning for all those discussions—which also involved complaints against fellow councillors Shawn Cleary and Waye Mason—to be handled in public. All three councillors needed to consent to the idea, but Cleary objected and Whitman's motion was ruled out of order. The councillor refused a subsequent motion by his colleague Tim Outhit to just deal with Whitman's complaints in public. A record-setting 66 official complaints have been lodged so far this year about HRM councillors. Whitman has repeatedly told the media that most of those complaints are about him. The Hammonds Plains–St. Margarets councillor has been in hot water ever since retweeting a message earlier this month from a known white supremacist group complaining about council’s decision to temporarily remove the statue of Edward Cornwallis. The confidential information Whitman released is presumably his repeated references in the media to in-camera discussions regarding the criminal history of Chief Wilbert Marshall. The Coast first reported on the proposed nominee to HRM's panel on Edward Cornwallis, and his prior sexual assault conviction, a day before council held an emergency in-camera discussion on the matter. Whitman visited The Coast offices on Monday afternoon to retrieve a print copy of that article. He told the editorial department he planned to hold it up during the debate Tuesday. Mayor Mike Savage wouldn't comment on the information Whitman released, other than to say politicians can't do indirectly what they can't do directly. “In other words, you can’t sort of say, ‘This was somewhere else so it’s out in the public,’” said Savage, echoing remarks Whitman made about The Coast's reporting. The three votes in Whitman's favour Tuesday afternoon came from Stephen Adams, David Hendsbee and Russell Walker— historically, the three councillors besides Whitman who've been the strongest voices against the removal of the Cornwallis statue. Council also voted to dismiss the public complaints made against Cleary and accepted apologies submitted by Mason. In one of those apologies, since posted online, Mason writes that he let strong feelings towards defying racism “in all of its forms” influence the way he expressed his disagreement to Whitman’s retweet. Whitman’s name is redacted in Mason’s second apology, which is standard procedure to protect the identity of whoever filed the original complaint. “My intention was not to attack [REDACTED] but to appeal to [REDACTED]’s clear convictions in challenging him to stop insulting people,” Mason writes. Reached via Twitter, Whitman denied making the complaint.